Last month’s column delved into the elements of gaining flexibility. It’s good to know the ‘how’ aspects but now we get into the specific benefits that come from a quality stretching protocol, the ‘why’. Any potential client of mine receives a handout listing 14 benefits for cardio, 12 for strength training and 11 for stretching. Let’s jump into some of those eleven. One of the badges of honor that weightlifters wear is the level of soreness in the muscles they experience the next day. There is a mindset that the more stressed out one feels afterward must directly relate to the ‘quality’ of that previous day’s workout. In actuality, when you introduce a stretching regimen during your workout, several physical positives occur. You increase blood flow, back out the unnatural tension of the fibers and speed up the recovery cycle, the result of which is a significant reduction of any discomfort the next day. You will be aware of yesterday’s efforts but your day-to-day activities will go on unimpeded. 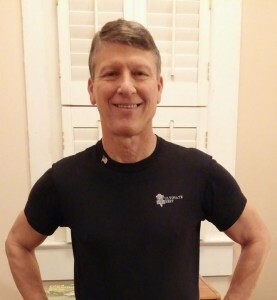 In particular, older clients who are returning to the gym after years (or decades) on hiatus are very concerned about not stressing (or hurting) themselves. It seems they all have a story to tell of a friend who received an introductory session at some gym, the aftermath being that, the next day, they could barely get out of bed. When that first morning arrives following an introductory workout that included a stretching protocol, they are pleasantly surprised to not be encumbered by tight or sore muscles. Muscles and tendons that are more flexible have a higher level of functionality. Working in a gym allows me the opportunity to see the younger generation ‘go for the gold’, challenging themselves to lift more and more iron. For instance, the level of weight that can be engaged with a free standing squat is quite impressive, far beyond my present or past abilities. But, if you asked those same individuals to perform a stretching kick, getting the leg past parallel might prove a stern test. The stretching kick, which I call a ‘Rockette’, requires you to kick your straight leg up as high as possible. The limiting factor will be the tightness of your hamstrings, lower back and gluts. Fortunately, I can still generate a ‘Rockette’ where my knee touches my front deltoid every time (after I have warmed up of course). Being able to extend your range of motion (ROM) to that elevation allows more power to be generated. The muscle/tendon complex now has a superior ability to maneuver, strike or drive…..you choose the verb. This improved physical nature allows you to generate more power in weightlifting as well. Or, to give you a visual, what was the last movie you saw where the bodybuilder beat up the martial artist? The biggest difference between those two disciplines is arguably……flexibility. Remember, all movement is contraction based. Every action of your body from the time you wake up to the time you go to bed is produced by the tensing of muscles. If you only stretch when you work out, you are limiting the true benefits of flexibility training. Range of motion techniques must be incorporated consistently, teaching your body to destress as well as advancing it to a new level of proficiency. When you relieve the tension in your muscles and tendons with daily stretching, you are regularly releasing the unnatural tightness in your body and enhancing the functionality of those fibers. This destressing of the body not only produces physical benefits but also translates to a mental advantage. The stress I’m referring to is the day-to-day pressure of life: paying the monthly bills, shouldering the responsibility for an elderly parent, driving to and from work through rush hour traffic, doing those everyday tasks that occur over and over again with persistent regularity. I liken that type of stress to rust. It wears on you over time. One of the ways to address that strain is to stretch daily. Those moments in time will provide a valuable interlude from the day-to-day. Once your body understands its newly acquired abilities, sudden movements, be it driving that ball off the first tee or bending down to pick up your grandchild, are less likely to cause injury. When you practice flexibility training on a regular basis, you are building a ‘memory in the muscle’. You are teaching your muscle/tendon complex the recognition they can extend to a wider range. Once you are warmed up (a very critical step, especially for us baby boomers) your body can function at a higher level. I could even argue that the first visible sign of an aging body is the loss of flexibility. Other benefits include: Increased neuromuscular coordination, decreased lower back pain, reduced joint degenerative progression and improved posture awareness, almost completing the list. So, if the roll call of advances is so extensive, why do you see minimal attention directed toward ROM? My theory is as follows. Because my clients experience all the benefits that accrue from stretching, more times than I can count they will ask me “Why don’t more people stretch?” I believe it is because the fitness industry has no consensus of opinion. There are people that say you should stretch before you work out while most recommend its best afterward. Do you hold a stretch for 5-10 seconds or extend the time to 30 seconds or more? There is a technique promoted called Active Isolation Stretching that teaches you should hold the stretch for under 2 seconds. Does static or ballistic techniques give better results? Little wonder the fitness ‘powers-that-be’ have not yet coalesced around one standard. Be they a 20 year old all-star athlete or a 70 year old grandmother, my goal is to open the door to an understanding that everybody should incorporate some stretching protocol in their lives. If you want to know my clients’ opinion about this subject, visit my website and click on ‘Testimonials’ so you can appreciate what people from 40 to 90 reveal about the importance to them of taking care of their primary asset. It will enlighten and inspire you.